$1.4 billion. That’s how much the most recent federal government shutdowns – a combined 26 days in 1995 and 1996 – cost the country, according to the Congressional Research Service. In five days, hundreds of thousands of federal employees may again be asked to stay home from work. National parks and museums? Closed. Passport and gun applications? Unprocessed. Don’t worry, our military will stay at the ready – but servicemen and women will be paid in IOUs. 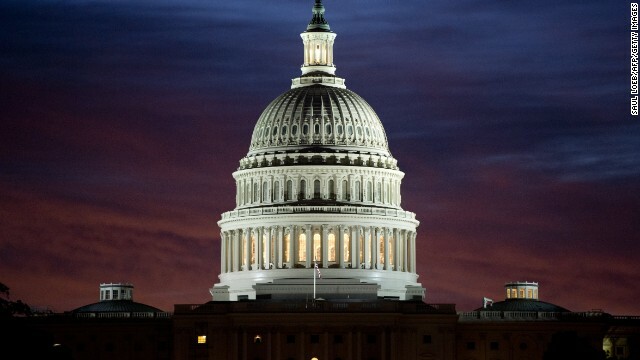 Lawmakers are expected to work through the weekend toward a spending agreement so, as you can imagine, things remain extremely fluid on Capitol Hill. Much of the debate boils down to the Affordable Care Act, better known as Obamacare. Many Republicans want to defund or delay implementing the health care law, among other budget cuts, in exchange for raising the debt ceiling (to keep the federal government running). Even if a shutdown occurs, Obamacare wouldn’t really be affected. On Tuesday, the first part of the law - a new on-line government-run insurance marketplace – is set to launch. Senator John Barrasso and Howard Dean, who both hold degrees in medicine, will join us on Sunday to discuss the Affordable Care Act and looming shutdown. Hungry? Green eggs and ham, pancakes and White Castle hamburgers were among the foods brought up by Senator Ted Cruz during his overnight, 21-hour speaking marathon on the Senate floor. Cruz wore sneakers in anticipation of his talkathon against Obamacare, never once leaving chambers to eat, drink or use the restroom.